We welcomed 66 student attendees from the University of Melbourne, Monash University, and La Trobe University. Students and professionals present on the day hailed from disciplines including: Audiology, Dentistry, Dietetics, Medicine, Nursing, Occupational Therapy, Optometry, Paramedicine, Pharmacy, Physiotherapy, Radiography, Social Work, and Speech Pathology. 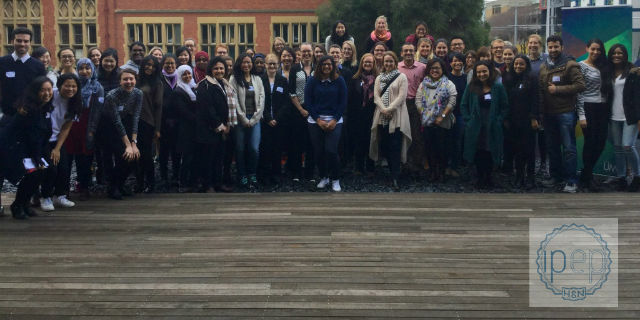 The ILDS event aimed to develop interprofessional leadership and awareness through plenaries on healthcare education and practice from patient and practitioner perspectives, as well as continuing to link healthcare students prior to entering the workforce. The importance of continually promoting, and committing to, our shared vision to provide best-quality care. IPEP HSN would like to thank all attendees for their participation, and the following guest speakers and panelists for sharing their wealth of knowledge and experience with us on the day: Dr Gael Jennings, Dr Zeshan Qureshi, Dr Lauren Sanders, Trish Joseph, Stewart Cockram, Fara Fernandez, Tamara Clements, Antonio Iannella, and Professor Stephen Trumble.